Not as good as the first, but a solid zombie flick. I like limping, slow zombies myself, so I was a little biased when I sat down to watch this, but the rage zombies in this movie were pretty cool because they puked gore and had animated facial expressions. A swarm of them running full blast would probably be scarier than seeing a bunch of limpers, but I find it so satisfying when some slow-motion moaner takes a bite out of a human being. I like that the military was made into an equally threatening antagonist. 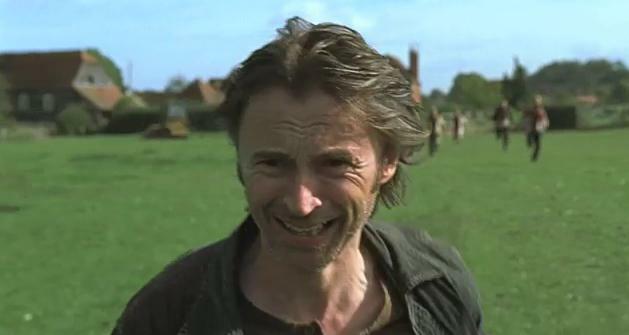 The guy who plays Begbie in Trainspotting lucks out and makes it to a military-supervised settlement that is run with police-state efficiency. Begbie unknowingly fucks up and contaminates the place. Stringer Bell orders his troops to blast everyone, so the threat is doubled because the village is swarming with soldiers with shoot-to-kill orders and puking rage zombies. When characters run around the corner, they don’t know if they are going to get chewed up by one of the infected or blasted by an assault rifle. The first film emphasized how human nature/meddling led to the zombie apocalypse, and this one reminds us of the brutality mankind would need to resort to if our delicately balanced societies suddenly toppled. Very impressive acting/writing. Fantastic gore effects and suspense. Worth a watch.